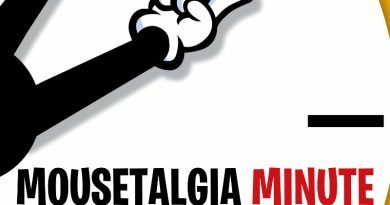 Comedian and podcaster Tim Babb returns to join Team Mousetalgia this week to discuss Disneyland’s new no-parking-on-Main-Street rule, and general queuing etiquette. When is it okay to save places in lines for parades and attractions? As the parks get more crowded, are there unspoken rules that guests should follow? We weigh the pros and cons of hopping in and out of lines. Plus, we stay on top of recent listener email, with topics including making magic for others in the parks (pin-giving vs. pin-trading); attending Disneyland during Grad Nite – is it a potential pitfall, or just another day? ; and helping a Walt Disney World pro make the most of an early summer trip to Disneyland. Next, we offer the top three attractions we’d each like to see receive a holiday overlay (a Halloween grand circle ghost train tour, anyone?) Also, we share our Disney secret tips, including methods for travelers with children to get to Disneyland from the airport without a child’s car seat; Walt Disney’s own chili recipe; and tips for finding hotels near the Disneyland Resort. 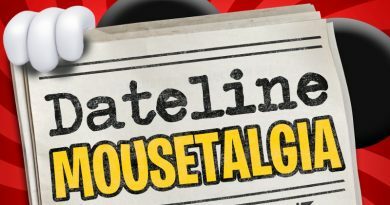 Dateline Mousetalgia – Episode 31 – Disneyland After Dark Sweethearts’ Nite and a Happy Valentine’s Day!